TORONTO, ON – November 23, 2018 – Calling all young Canadian inventors! What do you think the car of the future will look like? And what will it do? Will it be more than a means to travel from “Here” to “There”? Perhaps it will clean the air as it drives. Or plant trees. Or just make people happy. Or anything else you can imagine: Your ideas could win you some great prizes! 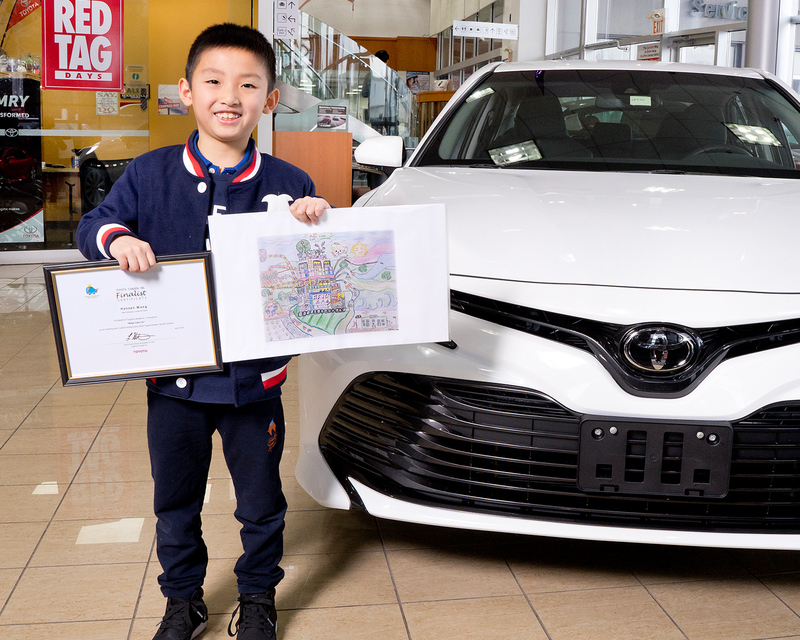 Canadians up to 15 years of age are invited to share their dreams for the car of the future – and have a chance to win a trip to Japan for the final awards ceremony – as part of the 2019 Toyota Dream Car Art Contest. First held in 2004 and now one of the world’s largest global art contests for children, the Toyota Dream Car Art contest invites future inventors, makers, artists, designers, and engineers to share their ideas about the future of mobility. Contest finalists will be chosen in each of three age categories: Under 8, 8 to 11, and 12 to 15. Finalists in each age category will win $250 Etsy gift cards, plus the chance to win an all-expenses paid trip to Japan (for themselves and a legal guardian) where they will vie for a global award. Toyota Canada Inc. (TCI) is the exclusive Canadian distributor of Toyota and Lexus vehicles. Toyota has sold over eight million vehicles in Canada through a national network of 287 Toyota and Lexus dealerships. Toyota is dedicated to bringing safety, quality, dependability and reliability in the vehicles Canadians drive and the service they receive. TCI’s head office is located in Toronto, with regional offices in Vancouver, Calgary, Montreal and Halifax and parts distribution centres in Toronto and Vancouver. Toyota operates two manufacturing facilities in Canada. Having produced more than eight million vehicles, popular Canadian models built at these facilities include Toyota RAV4, Toyota Corolla, Lexus RX 350 and RX 450h hybrid.